Starting Monday, September 17th Chartiers Center’s Substance Abuse Outpatient Program will be operating within Chartiers main hub at 437 Railroad St., Bridgeville. While the program is only moving 1 block away it will continue to provide Outpatient programming, Intensive Outpatient Programs (IOP) and medically assisted treatment via Vivitrol. The move will enable Chartiers to treat consumers with co-occurring disorders, including a mental health diagnosis and substance abuse, under one roof. With the coordination of the treatment team, doctors, therapists and nurses, Chartiers Center anticipates continued growth of the program as it meets a demanding need within the community. The Family Support Group will also meet at 437 Railroad St. the first Monday of each month from 5:00 pm -6:00 pm. Referrals to the program will be asked to complete a brief telephone screening and then an intake appointment will be scheduled. The intake appointment will consist of a more in-depth assessment of the current presenting concerns and the consumer’s readiness for change. Once this assessment is completed, the consumer will be placed in the appropriate level of care. During the consumer’s time in treatment, care will be coordinated with any other providers involved in the consumer’s life. If a client has an emergency outside of normal business hours, he/she should call 1-800-662-HELP (4357). For any other issues such as scheduling, forms, etc., he/she can call the Information Specialist at 412-221-3302 x123 or leave a voice mail on the SAOP phone. Chartiers Center’s Substance Abuse Outpatient Program is offering a new treatment option for drug and alcohol consumers struggling with their sobriety. 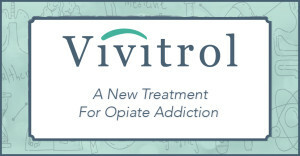 Vivitrol is a once monthly injectable form of Naltrexone which is used to manage cravings for substances such as alcohol, prescription pain killers and heroin. Vivitrol is a new, medically assisted treatment for our D&A consumer that is shown to have great outcomes. The benefits to Vivitrol are it is non-narcotic, non-addictive, non pleasure-producing and stopping Vivitrol will not induce withdrawal symptoms in the user. 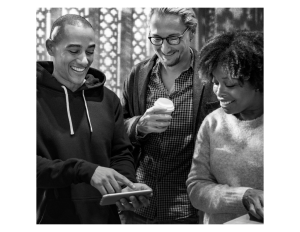 For consumers who want to achieve recovery from opiate and alcohol addictions, we are working with Positive Recovery Solutions to provide the Vivitrol injections. Consumers using this medication are required to participate in ongoing counseling throughout the duration of their treatment. Counseling services will address recovery specific issues and methods for maintaining long term sobriety from substances. Although Vivitrol injections manage the cravings, there is still significant work that needs to be done in therapy to work with the consumer as they learn new coping mechanisms to avoid future relapses. Also, unlike Methadone, Vivitrol is not a controlled substance; it cannot be abused and there is no illegal market for it. For information on Vivitrol visit their website at Vivitrol.com.